Our state of the art digital Minilab processing offers a fusion of the best of traditional and digital technologies. 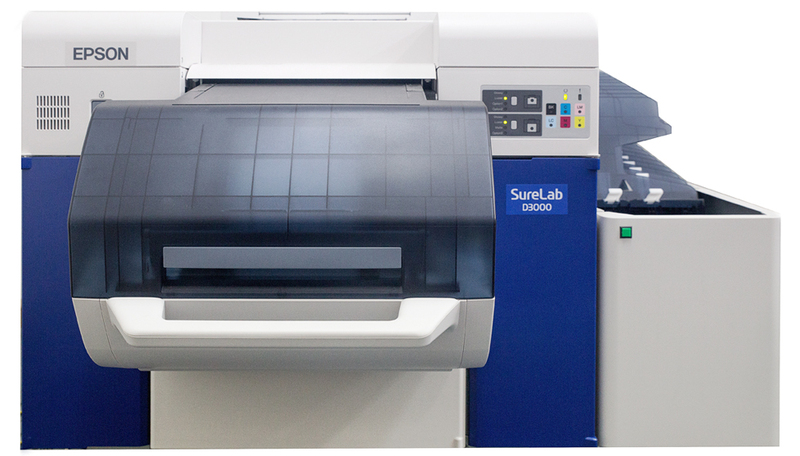 We run an Epson SureLab D3000, which has been strictly set up to behave as a professional pro-lab printer, producing exceptional quality and consistent printing at a great price. Prints range from 2x3” up to 12″ in width and up to any length. It is best suited for proofing and ease of workflow. Prints are individually cut and back numbered. We offer both direct from file output or colour and density corrected services, from E6 slides, black & white, colour negatives as well as from digital files. A large number of borders are available to compliment and enhance your images at no additional charge. ICC standards are strictly maintained and we use Kodak Professional Inkjet paper in Lustre and Gloss, backed by Kodak’s manufacturing standards giving the paper a superior archival life.